Spokes Sunday Rides ‘Explore, Dream, Discover!’ First Sunday each month, 30-40 miles. Meet 10am, Usher Hall. Lunch at pub/café, or bring picnic. We show the way, help with breakdowns, wait for the less-speedy. Your bike must be in good order. Not suitable for complete novices, and if under 14 you must come with an adult. More info: www.snowcycle.co.uk email stuart[AT]snowcycle.co.uk; phone 0131 445 7073. Mellow Velo An independent informal group, set up originally by Spokes members, meeting for leisurely weekend rides, often staying in hostels or B&Bs. Gentle rides suitable for occasional and/or novice cyclists. See which suits you from Edinburgh 20-milers, Edinburgh EasyCycle Family Rides by Sustrans volunteers and (in West Lothian) Livingston 20-milers. 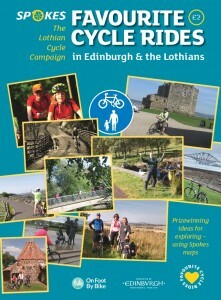 All rides There is a wide range of rides on offer in and around Edinburgh, whether you are a novice or experienced. 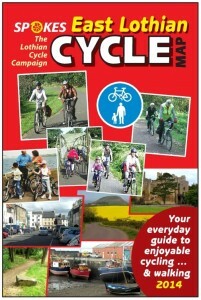 Virtually all rides are listed and described at www.cycling-edinburgh.org.uk.